Harley Davidson has been making its motorcycles for over a century. Ever since the first bike rolled out of the factory in 1903, the iconic machines are recognized the world over as a symbol of life in American – and the American dream. But they make more than just their famous hogs. 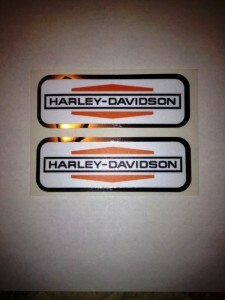 Harley Davidson also produces fashionable gear and memorabilia items. They’ve been pumping out non-motorcycle products for almost as long as they’ve been making bikes. 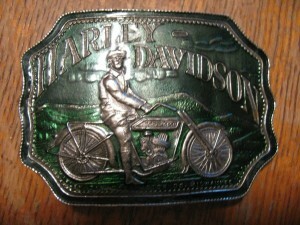 Here are 10 great Harley Davidson collectibles from through the ages. 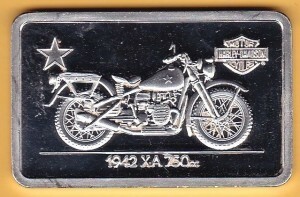 This small silver art bar was made by Harley Davidson in 1942. It depicts a shaft-driven motorcycle that was meant for use in the North African deserts during the Second World War, but never actually went into service. 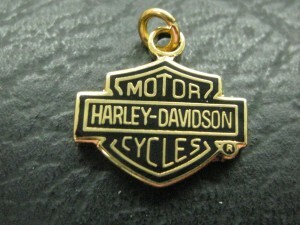 This simple piece of jewellery is a gold charm in the shape of Harley’s iconic bar and shield logo. Now this is extra cool. 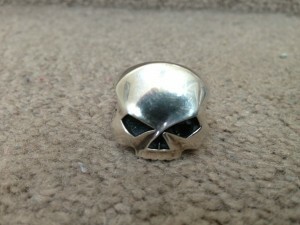 A sterling silver Harley Davidson ring featuring a skull with a black onyx set of eyes. 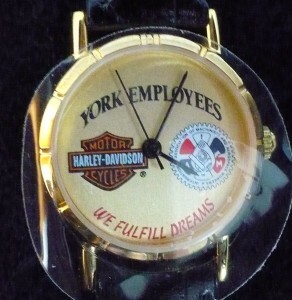 This is a special women’s watch made only for female employees of Harley Davidson. 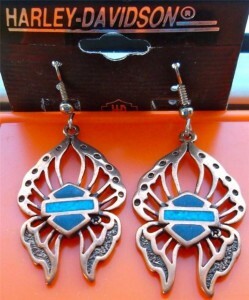 These are eye-catching Harley Davidson earrings in a unique butterfly design. They’re forged out of copper and have a shield made of turquoise onyx. 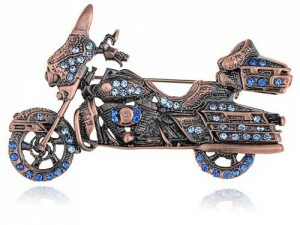 Another piece from Harley Davidson’s jewellery line, this motorcycle pin broach is sure to catch the eyes of motorcycle fans and everyone else. This belt buckle can’t be missed. It’s coloured in a crisp shade of turquoise and has the iconic Harley logo, with skull-and-crossbones with wings. A pin fit for the vest of a true biker. 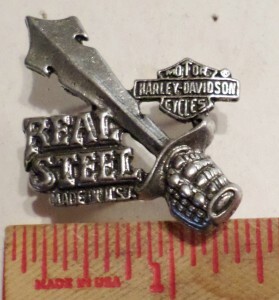 This vintage Harley pin shows a hand swinging a fierce-looking sword alongside the company’s bar and shield logo. These slick decals are literally taken from the tank of the 1970 AermacchiLeggero bike model. 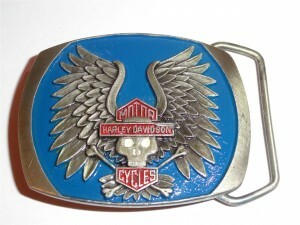 This 1978 belt buckle harkens back to the early years of Harley Davidson, before the company adopted the tough-looking skull and crossbones look. Looking to get your own collection of Harley Davidson collectibles started? There’s no better time than now. One of the best places to get a sense for the vintage Harley items out there is Ebay, which has a section devoted entirely to collectible Harley goods.